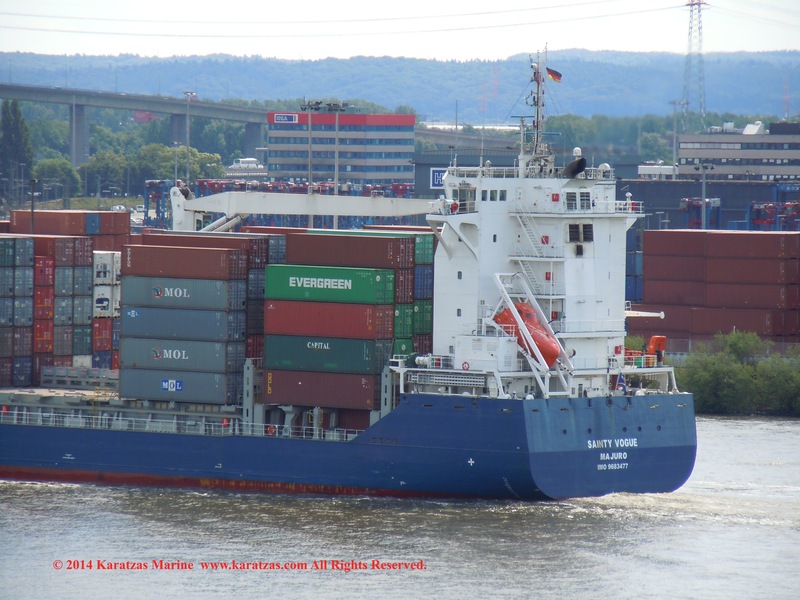 Posted on June 10, 2014 by Karatzas Marine Advisors & Co. 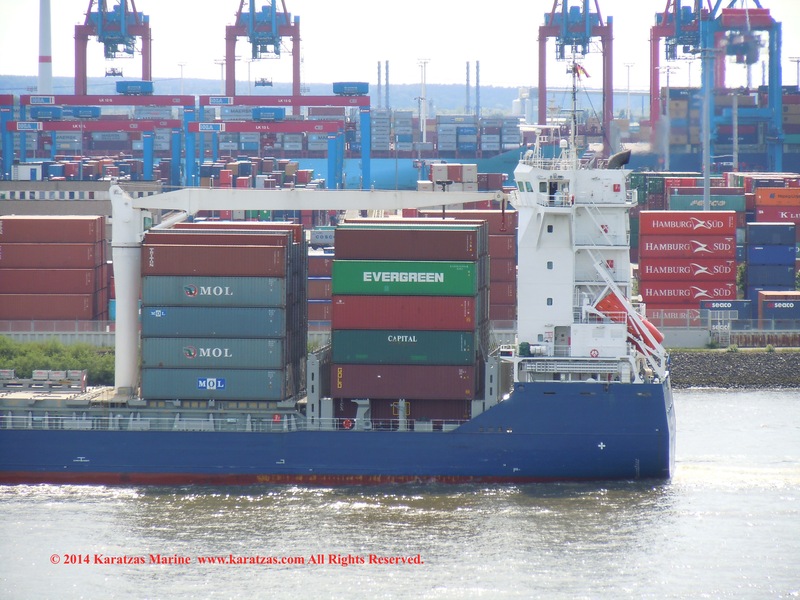 CARGO CAPACITIES: Teu Capacities of 1,073 Total, 750 Homogeneous and 500 Reefer, 4 Holds, 4 Hatches, Dwt to Teu ratio of 12.86, Maximum Teu of 344 in the Holds and 729 on Deck, 2 Crane(s) with a safe working load of 45 tonnes. 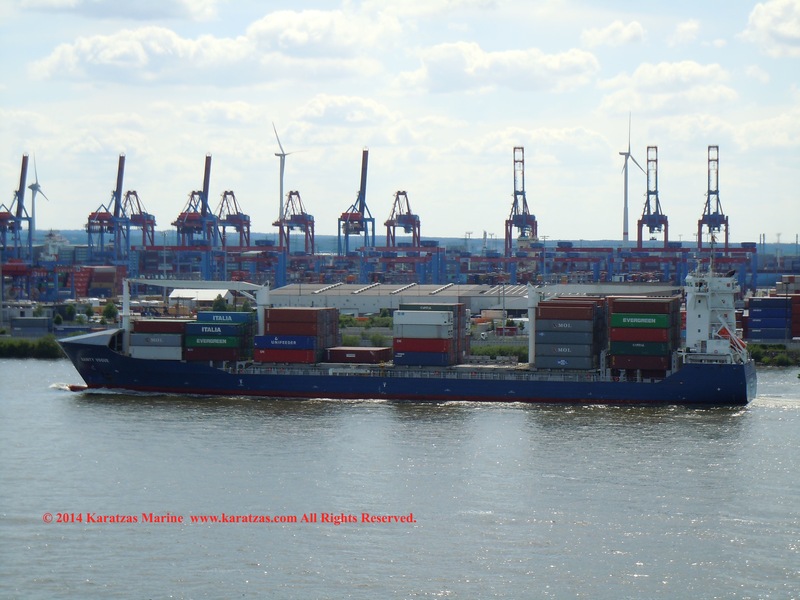 Total Teu Capacity of 1,073, 4 Holds, 4 Hatches, 2 Crane(s) with a safe working load of 45 tonnes. 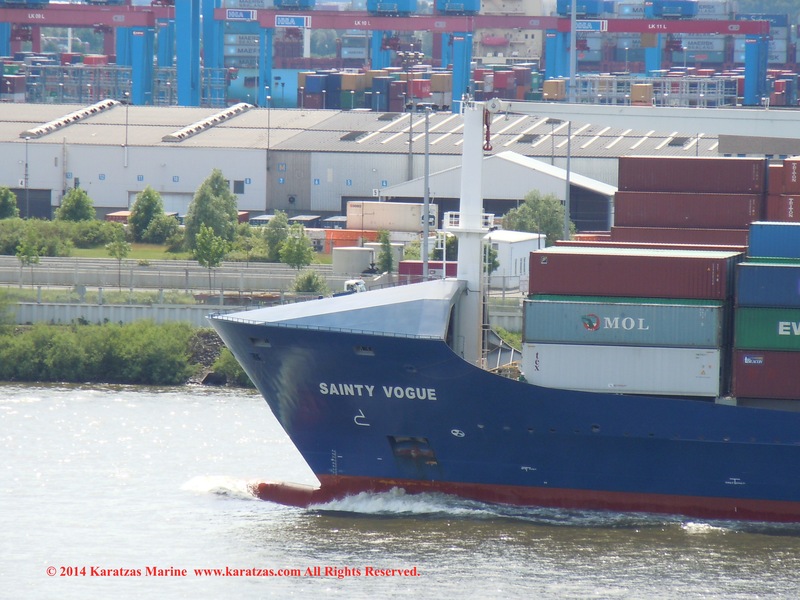 Geared 1,070-TEU containership MV ‘SAINTY VOGUE’ built in 2013 at Sainty SB (Yangzhou). 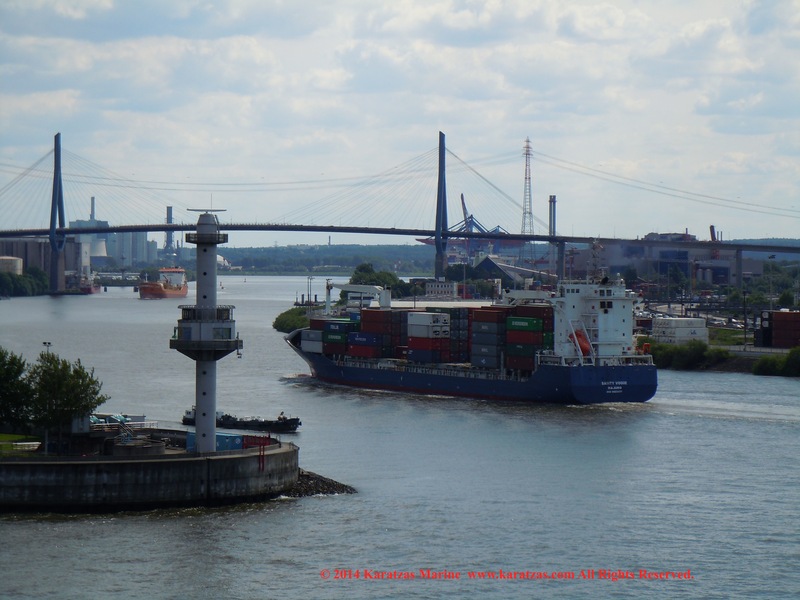 May 2014 Hamburg Port Call. 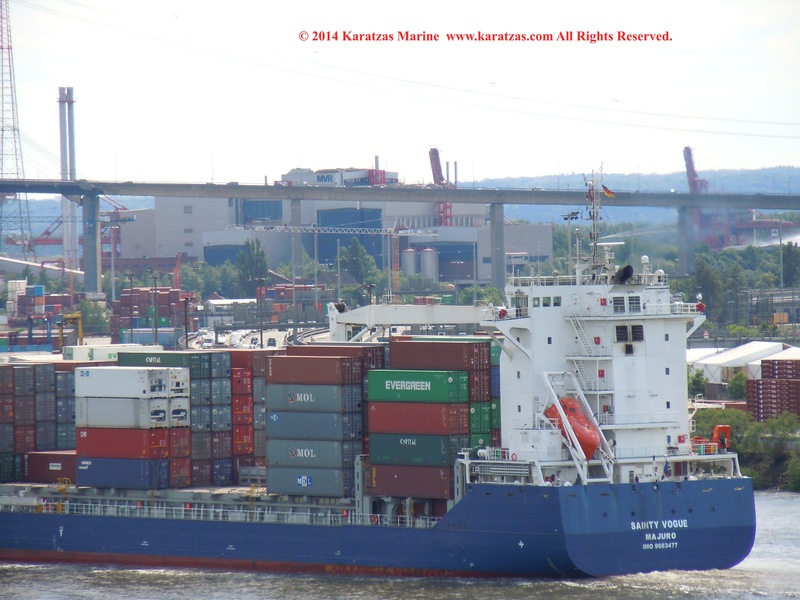 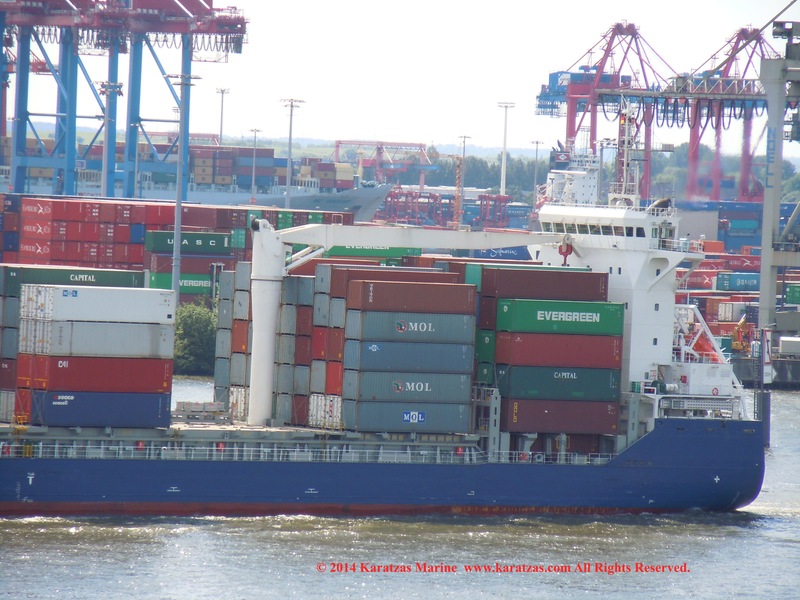 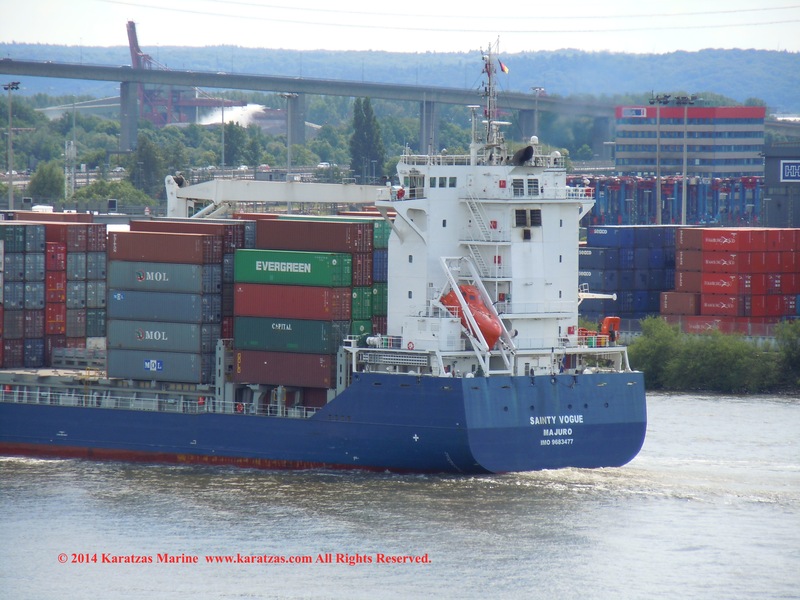 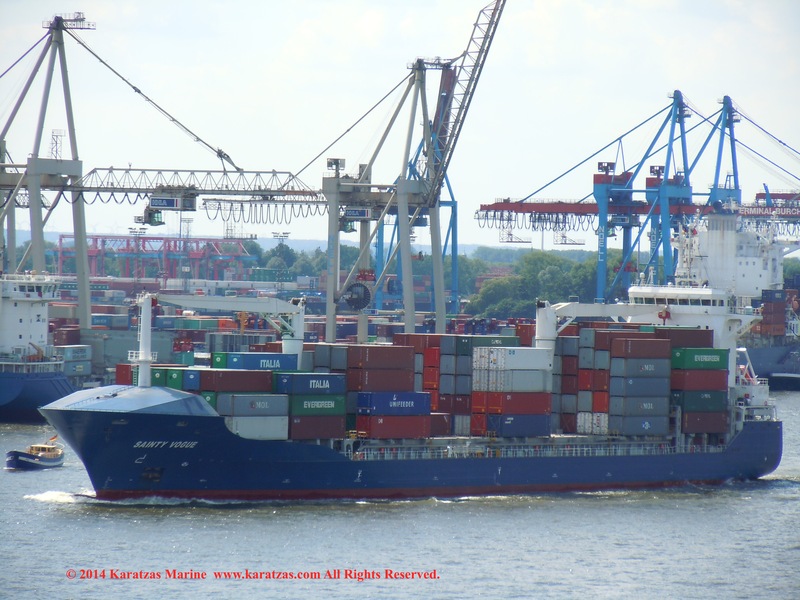 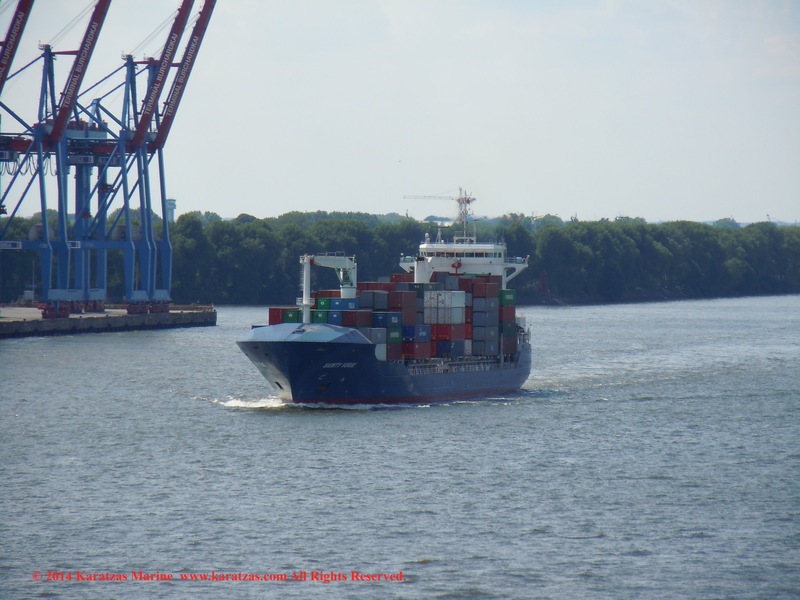 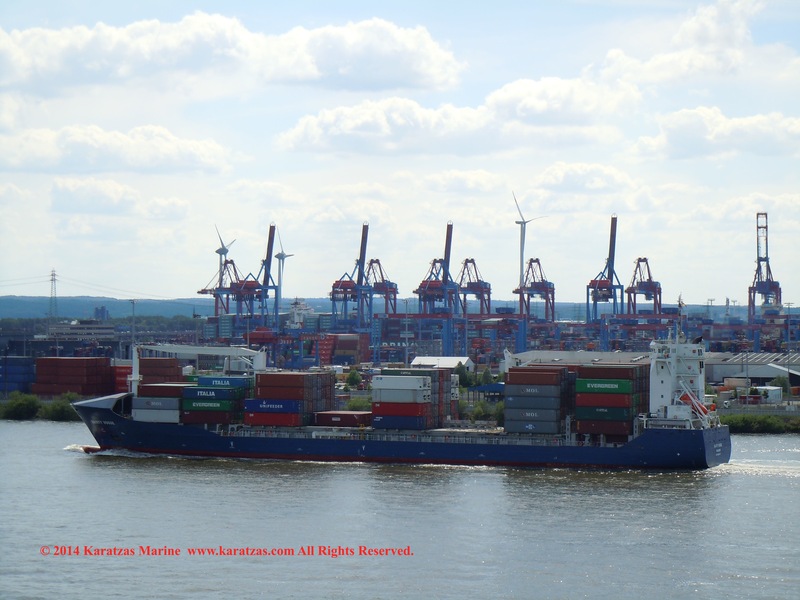 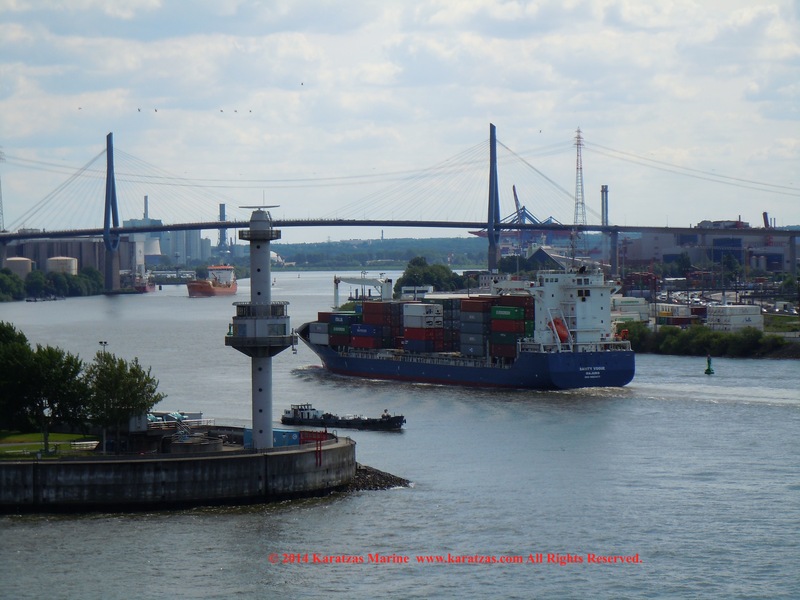 This entry was posted in Containership, Port of Hamburg by Karatzas Marine Advisors & Co.. Bookmark the permalink.